Art has its way of imitating life and through the eyes of the artist life flourishes through each stroke of their talented brush. Chicago native Michael Cox who is the man behind the BORN VAIN movement. 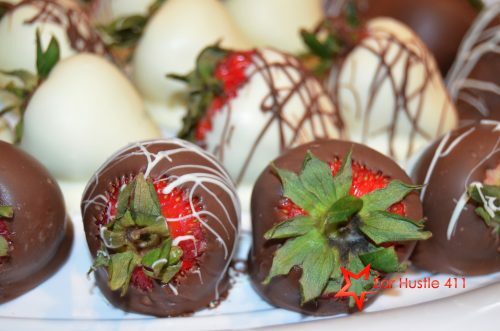 On May 13, 2017 EarHustle411 attended a black tie affair appropriately themed Champagne & Chocolates presented by BORN VAIN. This classy affair was hosted by legendary entrepreneur George Daniels. 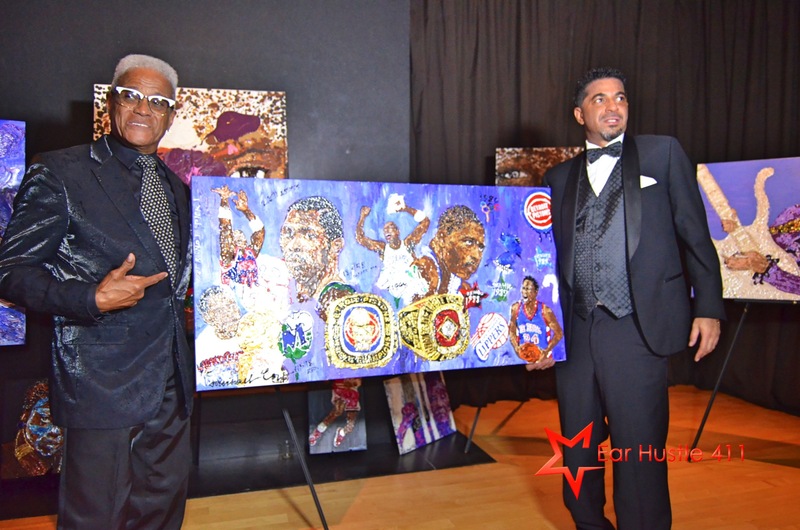 With the aid and assistance of Michael Cox’s business manager Lynda Nash, the event was well put together and the overwhelming support of everyone who purchased tickets, we must say it was a huge success. Guests of the event cam dressed in their finest after-five attire and dined on scrumptious cuisine prepare by private event Chef David Blackmon of The Culinary Solution. He is quite gifted with his culinary creations. As the festivities got underway, the guests strolled through the Stave Mansion and viewed several BORN VAIN portraits all which were drawn from a different personal perspective. For those who don’t know how BORN VAIN came about, the story is beyond heart wrenching. Michael’s journey to the spectacular artist began from the time he picked up a pencil and sketched his first drawing. As life would have its way, tragedy struck in Michael’s life. It was with the untimely passing of his beloved mother, his best friend who succumbed to breast cancer and the anger he felt about her death; he completely lost it. He trashed his the home in Atlanta and splattered paint all over the walls and such. Michael traveled to address his mother’s death and prepared for her homegoing service, afterwards he went back to his home in Atlanta thus returning to the mess he left. Upon observing the way the paint had dried on the walls and floor and its unique pattern spawned BORN VAIN. A portion of the proceeds from the event were donated to support a the “Different Shades of Pink” foundation against breast cancer. 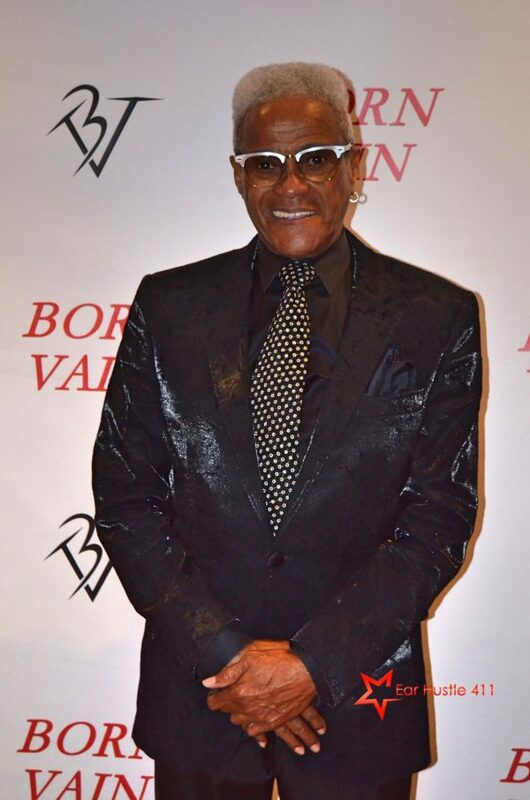 Michael Cox’s personal agenda for BORN VAIN is beyond reproach as he’s made masterpieces of his version of “wearable” art for the likes of many a celebrity such as New Edition, MC Lyte, Martin Lawrence, Taraji P. Henson and The Honorable Minister Louis Farrakhan just to name a few. The list is as long as it is impressive. However by his own admission nothing was more special than a piece he created and revealed at the event to show his support and love for those who blaze the trail for the awful disease that his mother succumbed to. The Breast Cancer Awareness piece was created on behalf of Erika Bracey the Founder of A Different Shades of Pink who is also a survivor. 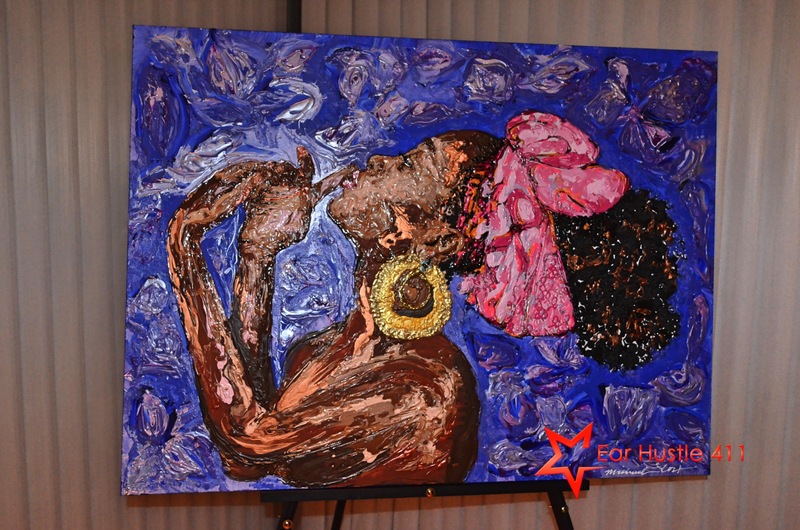 This piece as well as several of the pieces showcased were put up for silent auction. Lastly, the night was equally as special for a guest who unfortunately was unable to attend. NBA player Mark Aguirre happened to be one of Michael’s favorite players in the game. Due to travel conflicts Aguirre missed the unveiling of a beautiful piece that catapulted the sports phenom into BORN VAIN status. The evening and all it’s glory concluded with the guests enjoying toasts of champagne and dancing to the sounds of “house” music provided by Kristopher “Jus” Denson. BORN VAIN has most certainly made its mark in the world of art but Michael Cox as shy as he may be, he is shining and winning even in moments of pain as he reflects upon his journey into the spotlight. He is also stepping into unfamiliar territory as he travels the globe with speaking engagements on a tour to various HBCUs spreading the word about BORN VAIN and entrepreneurship. The world now knows about BORN VAIN and now they know the man behind it!